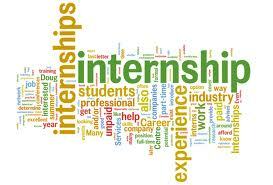 You are at:Home»Internships»Internship Experience»Internship at the Chambers of Mr. Sunil Goyal and Associates. Interned At: Mr. Sunil Goyal and Associates. Area of work: Litigation (Civil and Family). Timings: 09:00 A.M. – 5:00 P.M.
Work environment, people: There was good and friendly work-environment. Junior advocates were helpful and heard all my queries and guided me well. Co-interns were very friendly too. Interns were expected to work hard and not sit idle. Mr. Goyal used to ask interns about what work they were assigned and its progress. All the associates were friendly. Recommendation (a rating of the overall experience): 3.5/5. The work is brilliant and mainly in District courts and High Courts. I received first hand knowledge on many aspects of court procedures and was given drafting work as well. The internship gave me a better insight of Indian Legal System. Next Article Internship at B.P.T.P. Ltd.